More than a decade into the 21st century, teachers continue to struggle with designing digital assignments as a viable tool for learning and assessing the demonstration of that learning through student-created products. Digital tools continue to be used primarily for the utilization of available resources rather than in the creation of something new. 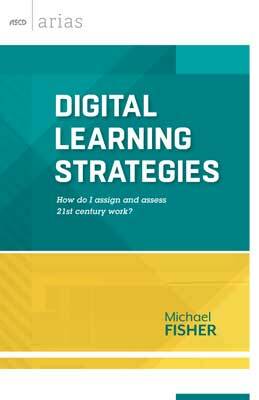 Along the way, Fisher offers practical advice on rigor and relevance, digital citizenship, formative assessment, and digital portfolios. With instructional strategies and examples of real student work across the content areas, Digital Learning Strategies will allow readers to develop an understanding of the what, when, why, and how of digital assignments and assessments. MICHAEL FISHER is an instructional coach and education consultant specializing in the intersection between instructional technology and curriculum design. He works with districts across the country helping teachers and schools maximize available technology, software, and web-based resources while attending to curriculum design, instructional practices, and assessments. He posts frequently to the Curriculum 21 blog and his own blog.